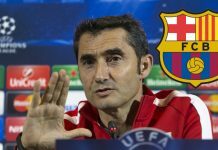 In times of systematic and organized offensive- and defensive strategies, players as Messi and Ronaldo become more and more an exception! Furthermore, Turek describes how 1 vs 1 exercises can efficiently be used to also train conditional factors. 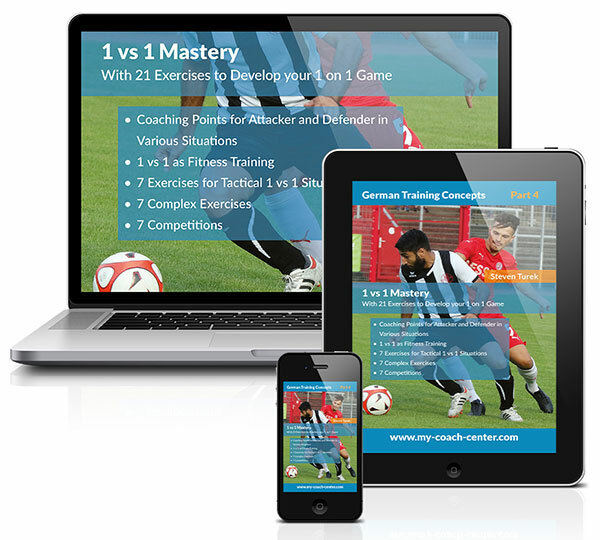 The main focus, as in all practical training concepts, lays on the practical part over 30 pages with competition-like exercises, detailed coaching cues and many variations! 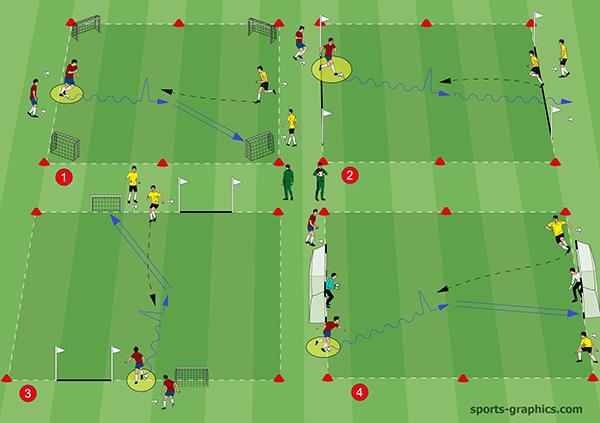 Coaching: This exercise simulates a 1 vs 1 situation with the simultaneous covering of passing options. C must adjust his position so that B is provoked to use a dribble goal. Thus, C gains time to win the ball. 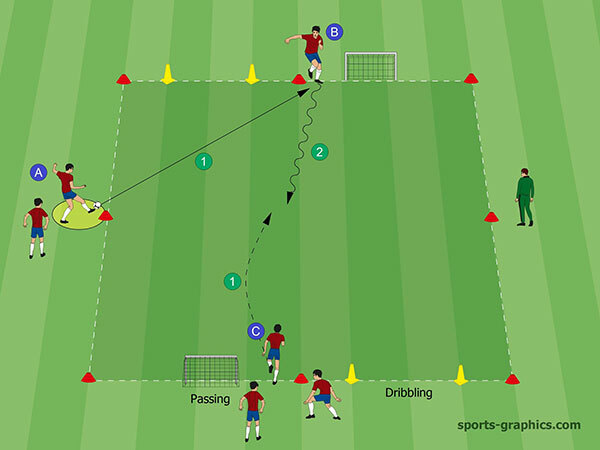 The initially offensive player B tries through skillful feints to finish on one of the passing goals or to reach the dribble goal in high pace. Variation: In order to even focus more on the thematic priority: Goals scored on the passing goal count threefold. Goals scored on the dribble goal only one-fold. Organization: At the outside and just behind the half line, a square is set up. The two opposing players position at two different positions (A and B). With the pass from the center back to the wing back, the coach decides which defender will enter the 1 vs 1 duel. The wing back tries to exit the square (only forwards or sideways – not backward), while the defender strives for a win of the ball. 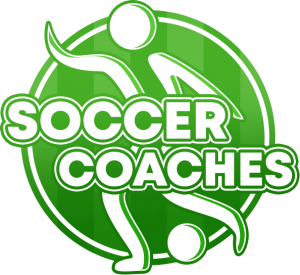 Coaching: The wing back shall quickly realize from which direction his opponent approaches in order to mindfully use his first touch just into the other direction. The exact same set up will be organized on the other side. Beyond that, a regular goal will be added to the existing organization. The prior 1 vs 1 duels (A and B prior side) will now in this variation be trained separately from each other. If a wing back achieves to exit the square, he crosses the ball to the forward located in the center (left variation) respectively finishes himself on the regular goal (right variation). In another variation, a counterattacking possibility can be arranged for the opposing players (without illustration). Organization: In 4 fields, respectively one 1 vs 1 situation is created. Thereby, teams of 2 will be build, which compete against each other in a tag-team-mode (Tag-team = A player is allowed to switch with his partner at all times by passing to him at the baseline). The play time counts 2 minutes. Following that, the red team changes the field clockwise, the yellow team counter-clockwise. All goals from each round will be added together in the end and equal the end result. 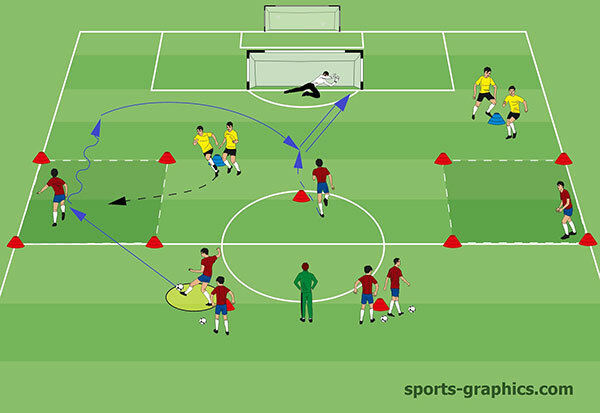 In case of a draw, a final 1 vs 1 in a random field decides about victory or defeat (provide enough balls). Coaching: Depending on the field, the behavior in the 1 vs 1 will change. 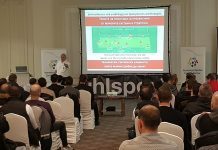 While the aim to cross a dribble line allows a more strategical defensive behavior, the focus in a field with two regular goals lays more on creating pressure on the opponent (otherwise: Danger of finishing!). 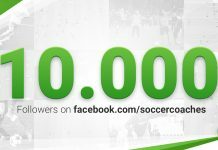 Are looking for inspiration for your soccer training? Until January 7th 2017 we offer 1 eBook, 1 eVideo, 1 DVD and 1 software for a very special price.